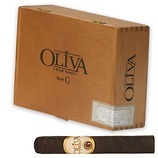 Limited to 1000 pieces world wide and only 40 pieces for the WHOLE OF EUROPE, this extremely limited Humidor & Cigar is going to be in very HIGH DEMAND around the world. 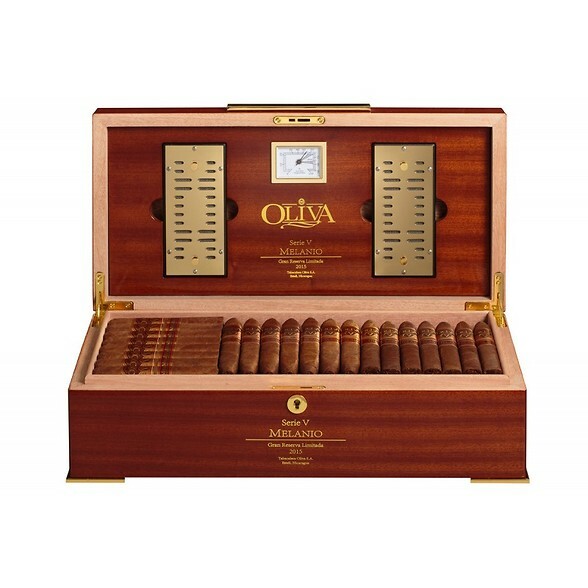 Constructed from mahogany, the limited-edition humidor is lined with Spanish cedar on the inside and will be humidified by two humidification units underneath the lid. On the outside, the feet and handle are both brass-plated, adding a touch of class. 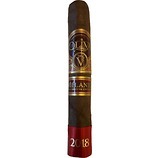 Additionally, the Oliva logo appears atop the humidor, along with the words "Serie V Melanio," and "Gran Reserva Limitada 2015"